So you’ve decided to automate your billing process to improve your customer’s experience and improve efficiencies. It’s time to turn your attention to the most important step of this process. Getting your catalog to match up with a new system can be a tricky thing. In fact, one might go as far as to say that in most cases, a company will need to do some serious homework to their catalog of goods and services before that information is able to be integrated into the new subscription billing platform. Fusebill clients or prospects are no exception to this rule, but our amazing team is here to help through every step of the process. The recurring billing model was originally developed for SaaS (Software as a Service) providers, since it melded well with the automatic billing cycles for these types of companies, such as Dropbox and Adobe Creative Cloud. Because of the convenience, though, it wasn’t long before other industries adopted this billing approach. As a Senior Sales Engineer for Fusebill, it’s exciting to see so many different industries coming to the table to discuss how our platform can complement their company’s needs. But first, some work is going to be needed to modify information to conform to billing best practices. By this, I mean that we need to take a good look at a company’s catalog. Regardless of what they offer, be it a service or actual tangible products, that catalog is often too complex to match up well with automated billing processes. There are either too many products offered, or too many rules around those products, such as getting X for free after purchasing Y. A common misconception is that a company doesn’t have a lot of products, but with the add-ons and other options, what may at first appear to be a handful of products turns into a maze of offerings. For example, we started a conversation with a reseller of hosted services. At that time, they had more than 400 products in their monthly offerings, some of which were quite similar to other products in their lineup. As you can imagine, the plan was cumbersome to manage. When the business configured a new customer into their system, they had to weed through their products to find the best option for that customer. Quite often, the wrong product was selected, which made reporting on crucial sales and success metrics very difficult. We had several conversations with this business over quite a few months and were able to help them simplify things, such as optimizing for their actual reporting requirements. We also worked with them to determine which products could be combined into a single product, yet provide enough detail for their reporting purposes. At the same time, these changes made it easier for customers to understand the charges. By working extensively with this business, we were able to reduce their product lineup from over 400 to less than 30 products. Even though product reduction is often the name of the game, there are times when it makes more sense to do the opposite—to add to the product lineup, at least in the backend, to help manage different options. It’s about evaluating what you are selling and figuring out the best way to offer that product so your customer can easily understand what they are buying. One company that we work with offers extended warranties for a medical device. The extended warranty covers the product for as much as an additional three years after the regular two-year warranty runs out. Depending on where that customer is in the three-year extended warranty phase, a single product couldn’t meet the needs of all customer segments. The invoice cycle for a customer that would be billed for 36 months, for example, would be different than a customer that only wanted to purchase a 12-month warranty. To ensure that all options within that warranty period were covered, we helped the business actually create 48 different subscriptions. Not only did it become easy for their customer to understand where they are in the warranty coverage timeline, but we were also able to configure Fusebill to automatically expire the warranty at the end of the subscription. That eliminated accidental billings for services that were no longer covered. It is not just their catalog of goods that can be tricky. Sometimes, the billing approach that a client has can also be too cumbersome for practical application. In one case, we had an SaaS business that had a few products but they offered many different invoice frequencies—monthly, annually, quarterly, semi-annually, and bi-annually. When this company came to us, they were interested in offering a single plan but with these multiple invoice frequencies. The team at Fusebill looked at that scenario and provided feedback on how it would play out. We also looked at a different option, one that split each billing frequency into a different plan. They loved the latter option because it provided better reporting granularity and gave their marketing department more flexibility to play around with each plan on an individual basis. And there are times when you just need to call a spade a spade. We had a prospect that came to us one time that wanted to use a token system with their customers. For example, the customer could buy 12 tokens to use at different times. But with this system, how do you track and explain what they consumed that last month? By moving forward with the token system, it would have been extremely difficult to monitor activity and could have created a lot of frustration for their customers. In the end, this business saw the benefits of going to a more traditional system to reduce confusion and enhance customer experience. Another billing complexity is when products ‘roll over’. It could be unused data usage on a phone that was prepaid or another service that wasn’t completely used up in the previous billing cycle. Sometimes, it is very difficult to reconcile, report on and invoice these products. However, it is a manageable hurdle. The business tracks rollovers on their end, and for billing purposes, they can easily push the monthly details through Fusebill’s API. 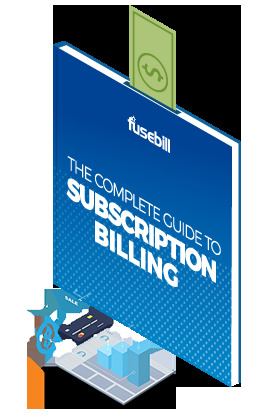 At the end of the day, the most important thing for Fusebill is helping businesses keep their customers happy. To do this, we frequently ask a business to put themselves in their customers’ shoes. What would they want to see on that invoice every month? It’s about educating that company on how things are going to appear to their customer. Once the business understands the potential frustrations from their customers’ perspective, they recognize the need to make their catalog more SaaS-based. As it becomes more automated, it is also easier for those companies to provide the best service for their customers. After all, happy customers are vital to business growth.